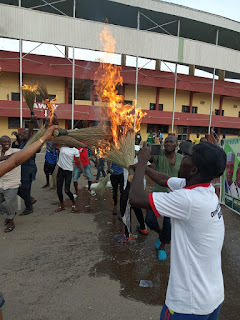 On Wednesday, angry young people in Benue State stormed the Aper Aku stadium in Makurdi, the state capital, where the All Progressive Congress (APC) presidential campaign held to "clean "the venue. News Today reports that President Muhammadu Buhari visited Benue for his campaign, a week slated for February 16 for the nation's presidential election. After the president and his entourage left the state, angry young people stormed the camp venue with water, washing the ground and also burning brooms, the symbol of the APC. 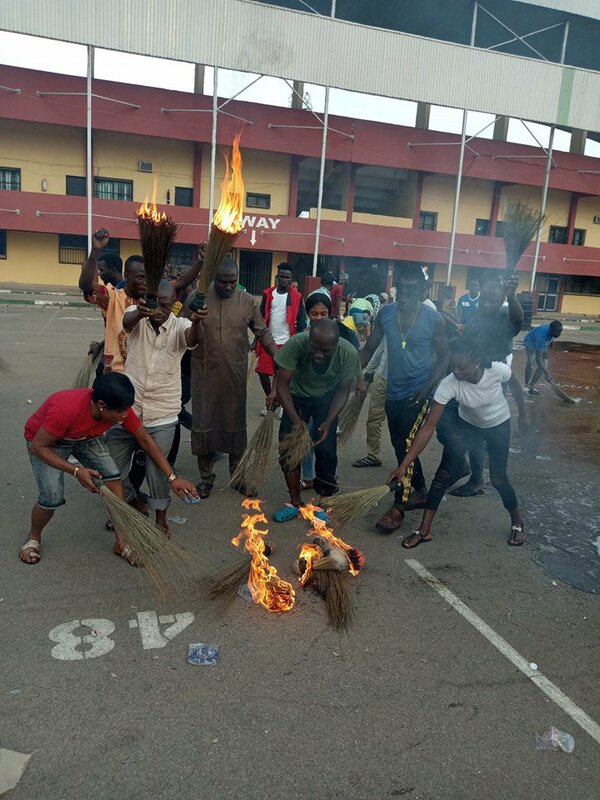 It was learned that the furious young people alleged the president and his campaign team has visited the state with their misfortune. The angry youth were seen running around the Aper Aku stadium in their hundreds, with a burning fire and chanting a victory song after the President left the field.